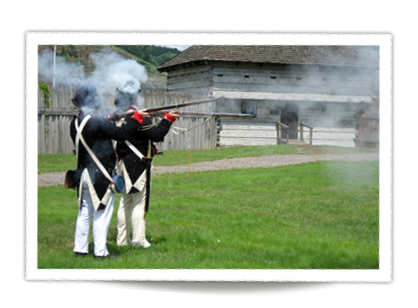 Did you know that the United States Army’s worst military defeat happened right here in Ohio? The Battle of the Wabash, also known as St. Clair’s Defeat, occurred in present day Fort Recovery, Ohio in 1791. The United States Army, led by Gen. Arthur St. Clair, left Cincinnati’s Fort Washington in mid-September, 1791, to quell Indian violence by attacking tribal villages along the Wabash River. Instead, the United States Army suffered a humiliating defeat. This defeat was suffered at the hands of a loose confederation of Miami, Shawnee, Lenape, Wyandot, Mingo Ojibwe, and some Cherokee. This confederation was led by Little Turtle, Captain Pipe, and prominent Ohio Shawnee Chiefs, Blue Jacket and Black Hoof, among others. While exact numbers will never be known, upwards of 1,000 troops were killed or wounded of the 1400 man force. This resulted in a 63% casualty rate for the whole of the fledgling U.S. Army. As a result of this disastrous defeat, violence between Ohio settlers and the Native Tribes increased. Residents of Cincinnati experienced Indian attacks in and around what is now downtown Cincinnati. This and other attacks in nearby areas only stopped after General Anthony Wayne’s decisive defeat of the Native Americans at Fallen Timbers in 1794.